Brian O’Donnell talks with Ron Kaplan from the National Aviation Hall of Fame about the recently announced class of famed aviators and astronauts and the October 4 induction ceremony. 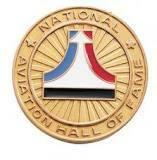 The Hall of Fame is located at the National Museum of the Air Force just up the road in Dayton, Ohio. The World Series is near, so Lee Hay has assembled a 2-hour baseball extravaganza saluting one of the greatest Reds ever, 1B Ted Kluszewski. He was a bigger than life athlete and during this program, listeners will hear from his wife, Eleanor; clubhouse legend Bernie Stowe and his wife, Priscilla; Reds Hall of Famer Ken Griffey; Steve Wolter from Sports Investments; and more. Also learn about this year’s Reds Fest, and the Baseball on the West Side exhibition at the Price Hill Historical Society. 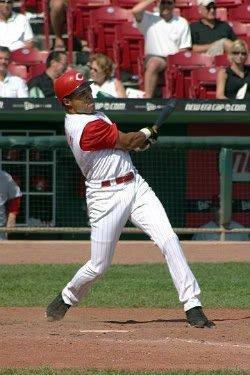 The Reds are retiring Barry Larkin's uniform number a week from tomorrow and leading up to that they've launched a series of celebrations called the "11 Days of Larkin." The National Hall of Famer's #11 will be retired August 25th. The events that day will feature a block party at The Banks starting at 1 p.m. and a post-game performance by Larkin's daughter Cymber, who's an international recording artist.